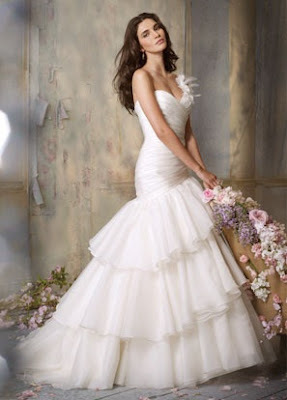 Our JIM HJELM bridal gowns have been trickling in daily. Blushing brides are definitely in love, and so are we! The silks are flowy, the embroidery is feminine and the look... chic. 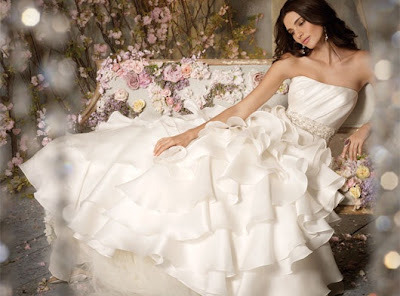 We are hosting a JIM HJELM trunk show on January 28th -30th at the salon. Appointments are recommended and space is limited. We will be showcasing the entire fall 2010 collection and many of the Spring 2011 gowns. All gown orders placed this weekend will receive 10% off. The Wedding Palace Bridal Show...a great success!